Welcome to our "about us " page. This is the part where I get to say great things about our studio, our images and about us in general. I hope that when you finish this page you are thinking to yourself, "Hey, I love these guys, they would be great to work with!" My goal is to introduce you to our family as well as our business. We are a family owned and operated business in Clovis, California, and we pride ourselves in providing exceptional and personal service to all of our clients. 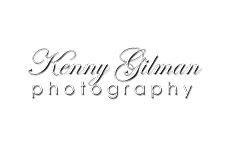 I am the "Kenny" in Kenny Gilman Photography. I have been a professional photographer for well over 20 years and I absolutely love my job. Every new bride, high school senior or family is an opportunity to create great, new and exciting images. It never gets old. Technology and photography styles are always evolving and keeping pace is a challenge, but I would not want it any other way. When calling or emailing our studio you will meet my wonderful wife Annette. She is the best "Boss" I have ever had. Annette really runs the whole show. She is much more organized than I could ever hope to be. That's why I try never to answer the phone or touch the appointment book; saves all of us a lot of trouble. Annette is the reason that we have a successful business and I could not do this without her. Give her a call and she will be happy to answer all of your questions. We have two beautiful daughters. They will occasionally show up in the website galleries. They are my two favorite (sometimes overworked) models, though they often try to sneak away when they see me coming with a camera. Anytime I want to try out new props, poses, or locations they get the call to be models. We operate our business from our home and I have to give my girls a big hug and a thank you for all their help and willingness to share their home with our clients.